He says there are fiscally conservative solutions. 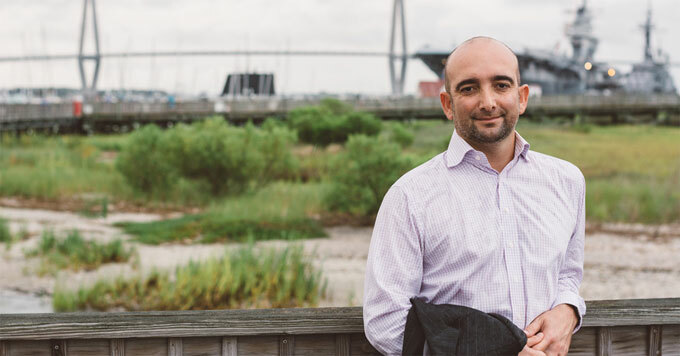 Rouzy Vafaie of Charleston, South Carolina, has considered himself a Republican since childhood. As a fiscal conservative, he says he’s concerned about the growing cost of flooding and extreme weather. They not only cause property damage, but interrupt lives and disrupt businesses. In the past, he brushed off those concerns, because he thought that reducing global warming would require burdensome government intervention. But then Vafaie started learning about free-market solutions, such as ending subsidies for fossil fuels and charging companies for the carbon pollution they emit. Now, he’s working to engage other conservatives by talking about climate solutions that they, too, can rally behind. Photo: Courtesy of Rouzy Vafaie.